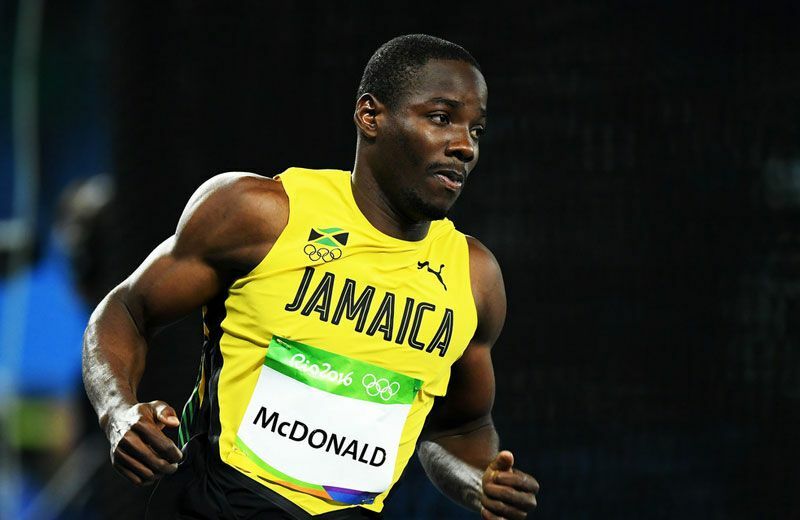 Rusheen McDonald is a Jamaican sprinter. Competing at the 2012 Summer Olympics, Rusheen was in the 400 metres and 4 x 400 metres relay. Rusheen qualified for the 2012 Summer Olympics, after placing second in the 400 metres at the Jamaican Olympic Trials, with a time of 45.1 seconds. In the 400 preliminaries at the Olympics, Rusheen placed fourth in his heat with a time of 46.67 seconds, failing to qualify for the semi-finals. In 2015, Rusheen qualified for the 15th World Championships in Athletics after placing second in the 400 metres at the Jamaican National Championships, with a time of 44.73 seconds. Two months after, in the 400 heats at the World Championships, Rusheen placed second with a time of 43.93 seconds breaking Jermaine Gonzales's Jamaican record.